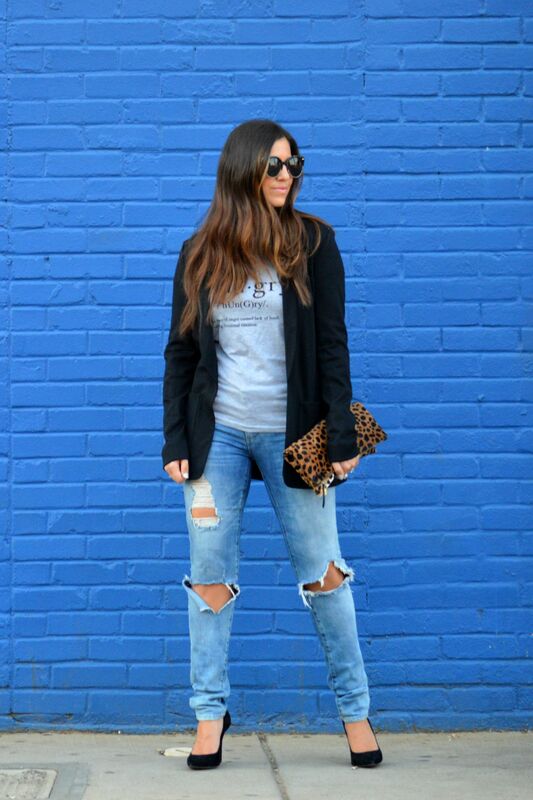 There is something really cool about wearing graphic tees with blazers. And not just for women, but men too! This tee is hilarious and it needed to be mine the second I saw it. AND it’s under $10! Just be sure to size up one to two sizes. I almost wish I purchased a large. These jeans have been worn a little too frequently lately. No exaggeration, I think I’ve thrown them on three times this week alone – and it’s only Wednesday! Agree! I just love graphic tees and blazers paired together! What a perfect backdrop as well!